The Spanish make more that fantastic tapas. 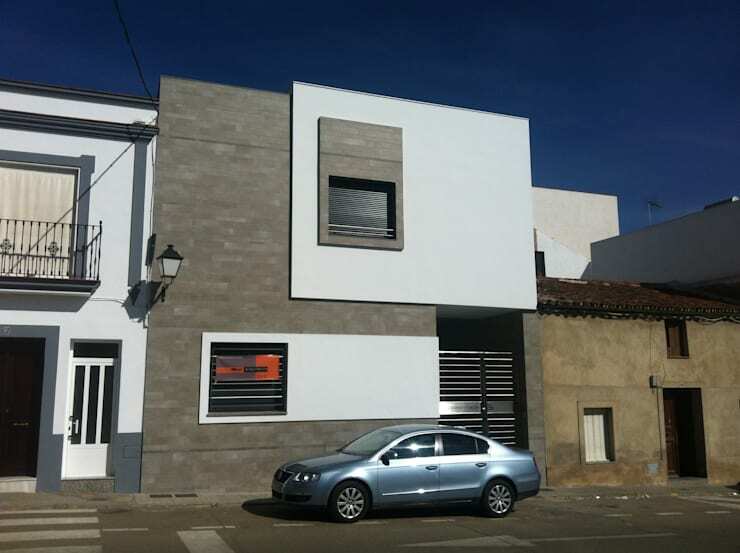 In fact, Badajoz-based architects EPG are going to show us today just how skilled they are in the realm of design and decor—with the sleekest house on the block. By utilising cool, neutral colours and materials such as glass, tiles and steel, they have been able to create a modern family home that oozes style, class and sophistication. So let's go and explore it! Right from the get go, we can see Spanish sophistication seep into the exterior of this sassy home. White and grey work to create a very classic look and feel throughout the outside of this home, with the designers playing with shapes, volumes and tones. The result is a neat little block home with panels of white and grey. It works wonderfully with the rest of the neighbourhood, fitting in surreptitiously while still packing its own little punch. You'll notice that there are a couple of windows and doors, allowing light the opportunity to float into the interior, without compromising on the privacy of the family who live in this home. Don't you love the little outdoor lantern that adds a gorgeous and functional little decor piece to the outside space? If we move into the home, we can see that the grey and white colours that we saw outside have been utilised inside in the interior as well. A classic white sofa has been used under the stairs, creating a beautiful and cozy look and feel in the hallway. 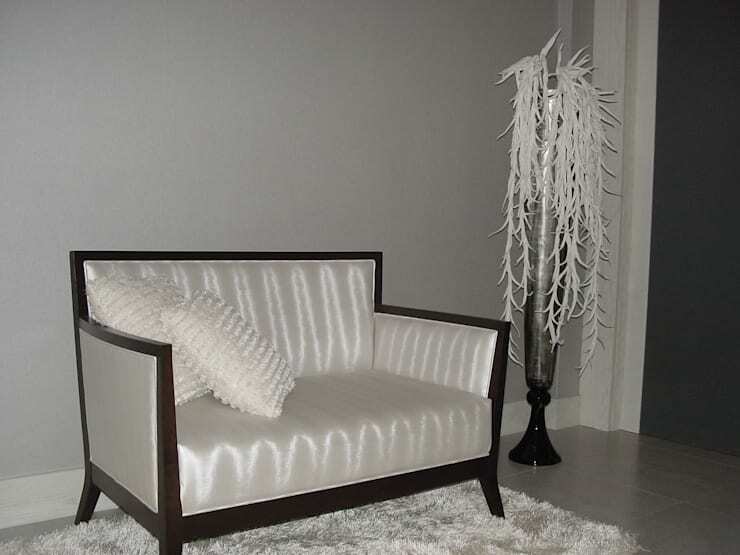 White is a very timeless colour to use for furniture as it never goes out of style. Pair with some white cushions, like the designers have done here, or add some colour into the mix. These designers have chosen a very neutral interior design, which matches the clean lines and modern design of the rest of the home. Read these tips on: Giving your entrance hall some wow factor. The staircase shows us just what these architects are capable of—gorgeous and slick design. The grey tiles complement the steel railings and the white walls. 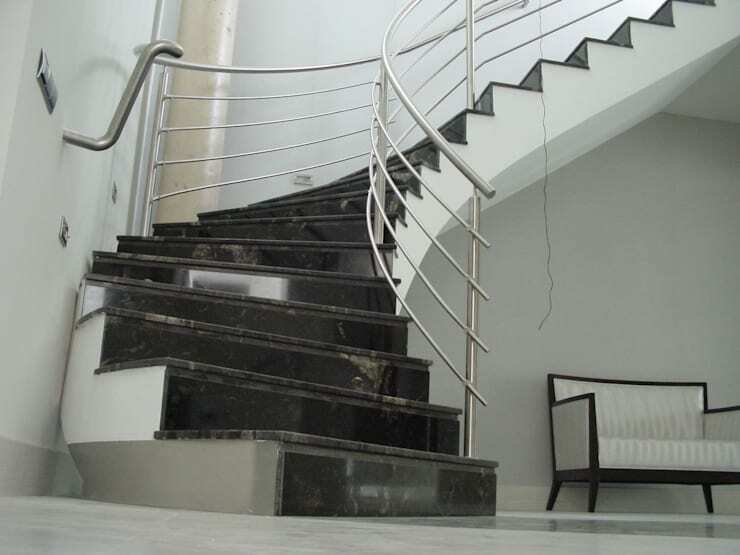 Stairways are functional—they provide a connector between one floor and the other. That doesn't meant that shouldn't they be absolutely beautiful. Read these tips on: Decorating your stairway to heaven. The living room carries the same gorgeous white look and feel, but we get a bit of colour and style in this space. 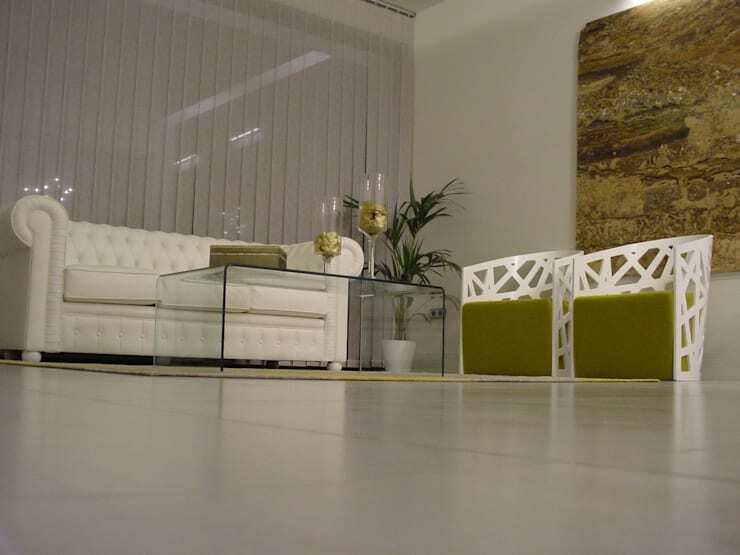 The gorgeous white tiled floors work with the trendy, white furniture. The designers have introduced some olive colours into the mix, adding a wonderful green hue to the space. They've done this in the form of cushions, artwork and decor, as well as a wonderful, natural plant. Plants add a fantastic decor element to any space! Include them in the bedroom, the study or even the dining room. The perspex coffee table is the cherry on the top of the living room decor. Remember that if you use perspex furniture to utilise cup coasters and place mats so that you don't scratch the surface. Have a look through the homify living room products for inspiration for your own home. The kitchen and dining room space is the best part of this whole home—the sleekest of the lot! Again we can see a bit of an olive green theme, which adds a subtle sense of colour and character to the room. Our favourite part of the kitchen are the decor items—a jar fulled with fruit, which adds a splash of colour and a silver art piece on the wall, which adds texture to the room. This complements the cream counter tops and chocolate brown kitchen cabinets. 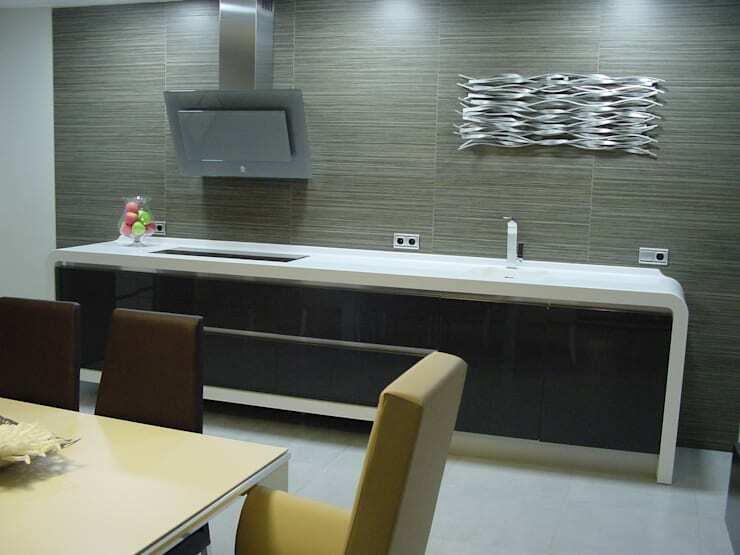 An open plan kitchen and dining room is a very modern design and makes for a social, family home. Don't you want to be able to chat to your guests while whipping up a feast? Everything about this home and modern and sleek. Simply fabulous! What tips do you have for a modern, family home? Do you like the ideas here? Let us know!